The Brightbank Church was built in 1909, originally as a school by August and Fred Kreye. 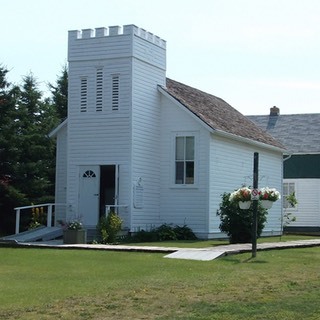 In 1930 it was converted into a church, and in 1948 a steeple was added and it was moved to the corner of HWY 627 and RR 21 on property donated by Mr. John Kyle. 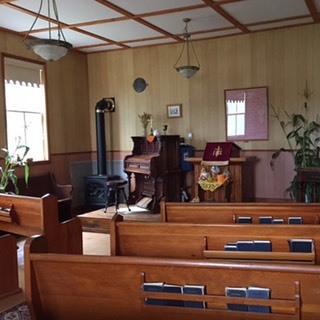 The United Church donated it to the museum in 1997, where it was repaired and restored. The church is available for rent.